~ ~ ~Jayne Stamps ~ ~ ~: Happy Eat-Too-Much Candy Day! 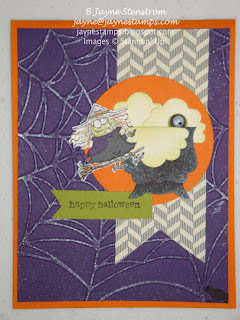 To get you in the right frame of mind for today, I have some Halloween cards that my downline Diane made and brought to show us at our last meeting. I've listed the main items used in the cards below each one (at least the ones that jump out at me). Enjoy! 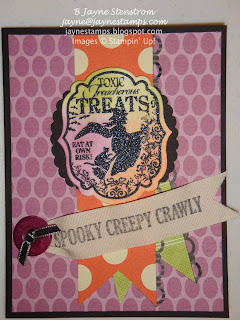 Toxic Treats and Border Banter Stamp Sets, 7/8" Cotton Ribbon, Floral District and Howlstooth and Scaringbone DSP. 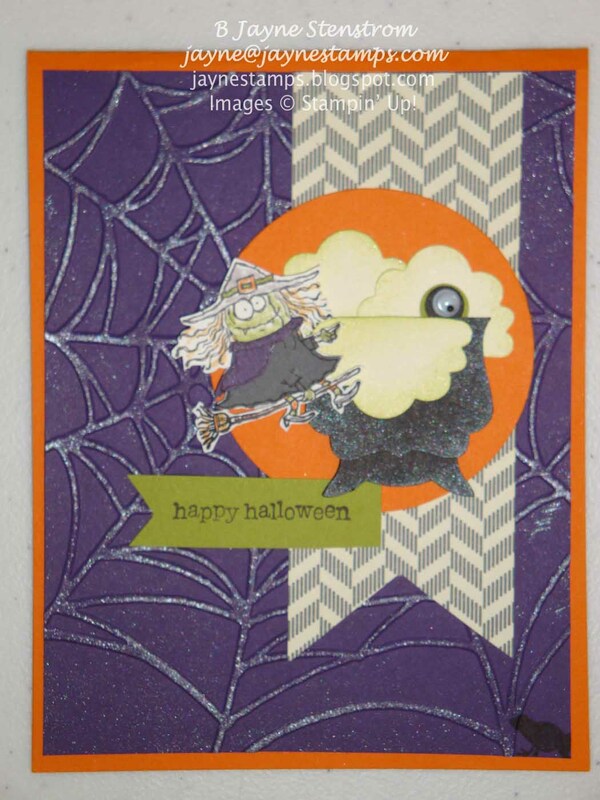 Illuminate Glimmer Watermark Stampin' Pad, Spider Web TIEF, Owl Builder, Decorative Label, and Cupcake Builder punches, Howlstooth and Scaringbone DSP. I believe the stamp set is retired from last year. Did you notice the "eye" peeking up out of the cauldron? I guess that would be "eye of newt"! 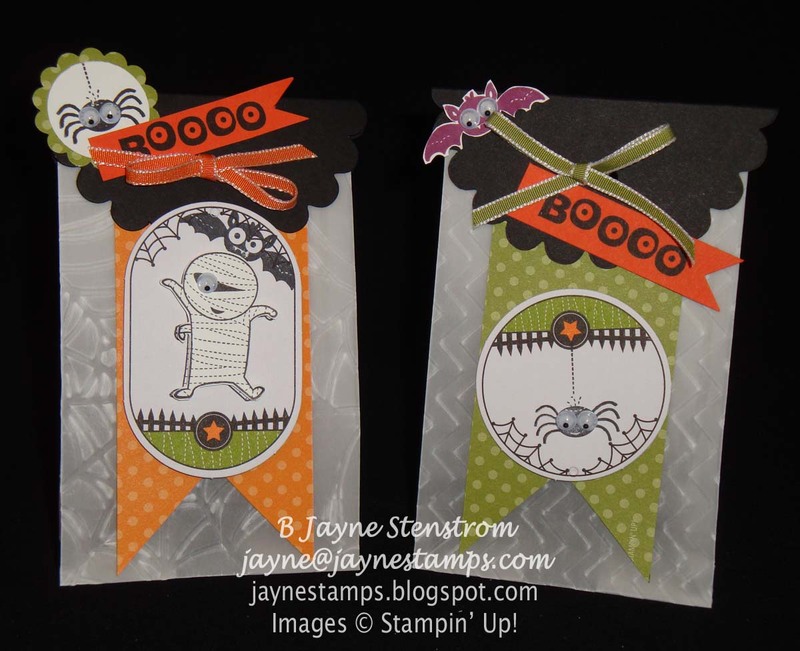 Googly Ghouls stamp set, Ghoulish Googlies Designer Kit, Googlies, Spiderweb and Chevron TIEF, Pumpkin Pie and Old Olive 1/8" Taffeta Ribbon, Scallop Circle Punch. I just love this card! 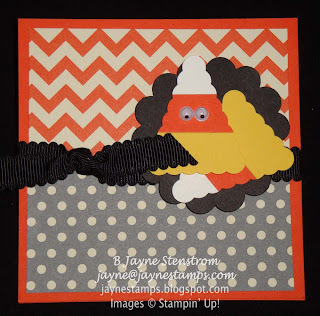 How cute is this candy corn!! It's made with Whisper White, Tangerine Tango, and Daffodil Delight card stock strips glued onto a piece of copy paper and then punched with the Petite Pennants Builder punch. 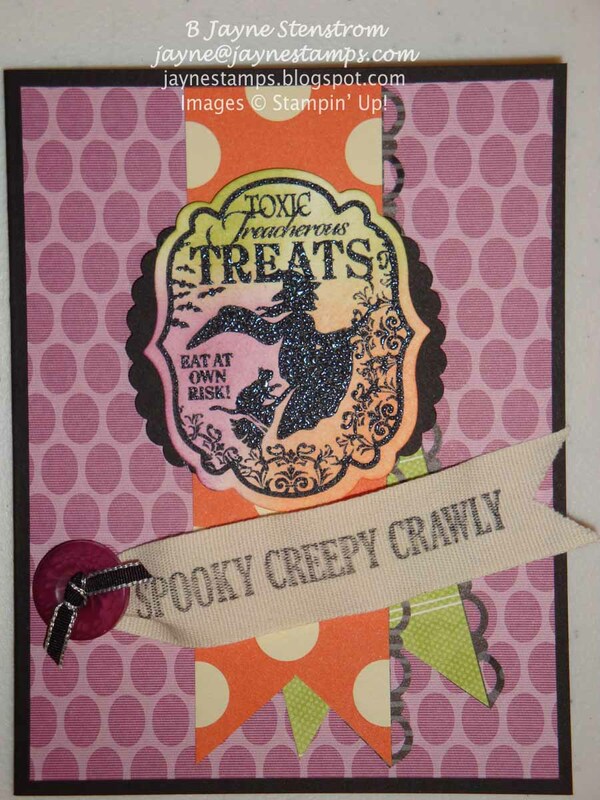 Also used is Howlstooth and Scaringbone DSP, Basic Black 1/2" Scallop Dots Ribbon, and 1-3/4" Scallop Circle Punch. It's actually an easel card - here's how it looks from the side. 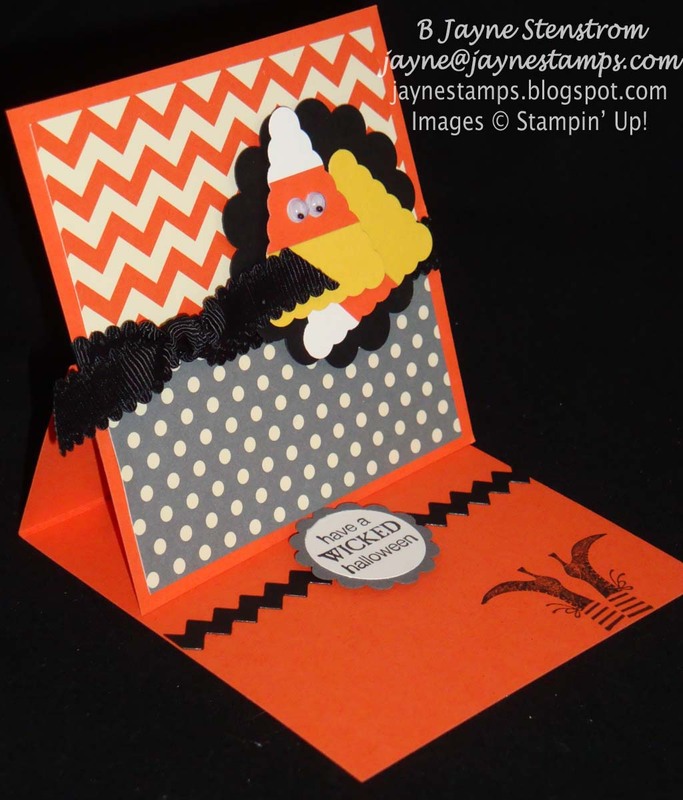 The inside feet and saying are from Wicked Cool and the zig-zag piece was cut using the Tasteful Trim Bigz XL Die. I hope you have a safe and happy Halloween. And remember, if you have any chocolate that you can't eat, I'm always happy to lend a hand (or mouth, as it is)!